An agency within the U.S. Department of Transportation (DOT), PHMSA is responsible for keeping the public safe and the environment protected when hazardous materials are moved throughout the country by land, sea, or air. This includes almost one million daily shipments of hazardous materials, including 64% of the nation’s petroleum products. 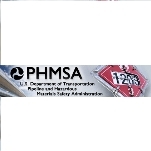 PHMSA was created under the Norman Y. Mineta Research and Special Programs Improvement Act so that there would be a DOT unit to specifically focus on pipeline and hazardous materials transportation policies and procedures, whereas previously they had been addressed by DOT’s Research and Special Programs Administration. Develops and enforces regulations for the 2.3 million-mile pipelines transportation system. Aims to eliminate deaths, injuries, incidents, and environmental and property damage when hazardous materials are shipped. Works to reduce the harmful consequences to people, the environment, and the economy after a “hazmat” (hazardous material) or pipeline failure occurs. Sponsors research projects to stay on top of the latest advances in technology that may be potentially applicable to safety procedure upgrades. Awards grants to provide financial and technical assistance for states, tribes and local communities to receive preparation on how to handle hazmat emergencies. Distributes special permits, guidance documents, and informational brochures and videos, and administers an 800 Number Information Center to answer questions, make publication orders, and report violations. Participates in an ongoing process to help standardize pipeline and hazardous material transportation requirements internationally; works with its counterparts in Canada and Mexico to coordinate universal guidelines for firefighters, police, and other emergency service personnel who may be first to arrive at a hazardous materials accident; and facilitates efficient and safe transportation through U.S. Ports of Entry. Conducts drug and alcohol testing of transporters of hazardous materials. Enforces compliance with safety and training standards through field inspections of shipper and carrier transportation facilities; manufacturing, packaging, repairing and reconditioning work areas; cargo vessel ports; rail freight yards; motor carrier and air cargo terminals; and chemical and explosive manufacturing plants. Provides continuously updated safety guidelines for travelers, including how to pack and transport batteries and battery-powered devices. Brigham A. McCown, who held the position from 2005 to 2006, was “special legal counsel” to the Bush-Cheney 2000 campaign during the Florida recount controversy. In 2003 he was appointed chief counsel for the Federal Motor Carrier Safety Administration, and two years later to the PHMSA job. Now he’s back working as an attorney at Winstead Sechrest & Minick P.C., where he was employed before he received his two appointments in the George W. Bush administration. He represents clients in the fields of transportation, the environment, and homeland security. TOXIC TRAIN WAR - THE CHLORINE INSTITUTE (a trade association of chlorine producers) claims that its “C” Kit, a repair kit for chlorine rail tank cars, is safe to use. Haz-mat experts say The Chlorine Institute “C”-Kit is extremely hazardous and its use must be discontinued. Learn the truth, See--PETITION C KIT for First Responders Comments. Marie Therese Dominguez, an administrator with long government service in Democratic administrations, was named on May 29, 2015, to lead the Pipeline and Hazardous Materials Safety Administration. The Senate confirmed her on August 5, 2015. Dominguez, whose nickname is Toi, was born in El Paso, Texas, in 1965, but her family has long roots in New Mexico. She’s a descendant of Spanish explorer Álvar Núñez Cabeza de Vaca who came to that area in the early 1500s. She’s also the daughter of Larry Dominguez, a Secret Service agent who was on duty during the March 30, 1981, assassination attempt of President Ronald Reagan. Dominguez’s father helped subdue the shooter, John Hinckley. Dominguez attended Smith College, earning a BA in American studies in 1987. She then went to law school at Villanova, graduating from there in 1992. She worked as an attorney and environmental policy analyst as well as on the Clinton-Gore presidential campaign. She joined the administration, working in the Department of Transportation and in 1996 being named a special assistant to a member of the National Transportation Safety Board. The following year, Dominguez was made Special Assistant to the President and associate director of presidential personnel in the Bill Clinton White House. In 1998, Dominguez moved over to the Federal Aviation Administration as Deputy Chief of Staff and counsel. One of her projects was working on expansion and noise issues at Bob Hope Airport in Burbank near Los Angeles. In 2000, she moved to the Department of Defense as principal Deputy Assistant Secretary for the Army Corps of Engineers. Coincidentally, Dominguez’s grandfather was a long-time employee of the Corps of Engineers. At the end of the Clinton administration, Dominguez moved into the private sector as director of human capital and performance for Resource Consultants, where she worked on workforce and organizational development for public entities. In 2004, she moved over to Fieldworks, a political consulting firm. While she was at Fieldworks, she also was a senior adviser to then-Gov. Mark Warner (D-Virginia) and his Forward Together PAC as he contemplated a 2008 run for the White House. In 2007, Dominguez returned to federal service, this time with the U.S. Postal Service. She was vice president of Government Relations and Public Policy and managed Stamp Services, which is responsible for issuing stamps. As part of that job, she was one of four inventors credited on a patent for a method of authenticating postage stamps. 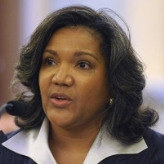 Dominguez returned to her former job in the Army Corps of Engineers in 2013, which she held upon her nomination for the Pipeline and Hazardous Materials Safety Administration post. There has been concern among some that Dominguez is unqualified for the position as she has little experience dealing with pipeline issues — she is basically an unknown in the industry. Her backers counter that she’s a good administrator and has good connections to the White House, which will help in implementing regulations aimed at keeping America’s pipelines from rupturing and exploding and trains carrying crude oil from derailing. President Obama turned to a strong supporter with lengthy experience in pipeline law and regulation to serve as the Administrator of the Pipeline and Hazardous Materials Safety Administration (PHMSA), which is responsible for protecting the public and the environment when hazardous materials are transported by land, water, or air. This includes almost one million daily shipments of hazardous materials, including 64% of the nation’s petroleum products. Congress created PHMSA in 2004 so there would be a single agency focusing on pipeline and hazardous materials transportation policies and procedures. Quarterman was confirmed by the Senate November 5, 2009. Born circa 1961 to Bernice and Rudolph Quarterman in Savannah, Georgia, Cynthia Quarterman graduated in 1979 from A. E. Beach High School, where she was crowned “Miss Beach.” She went on to earn a B.S. in Industrial Engineering from Northwestern University in 1983, and a Juris Doctorate degree from Columbia University School of Law in 1987, where she was Executive Editor of the Columbia Journal of Environmental Law. She spent part of 1981 as an Industrial Engineering Intern at American Cyanamid, and the year between college graduation and her first year of law school as a Cost Engineer for IBM Federal Systems in Owego, New York. After graduating law school, Quarterman worked for a year as an associate at the law firm of Benson & McKay in Kansas City, Missouri, before taking a job in 1989 at Steptoe & Johnson, which is one of the largest firms in Washington, DC. Following Bill Clinton’s election win in 1992, Quarterman served in various capacities at the Department of the Interior, including as a member of the Office of Surface Mining Interim Management Team and Deputy Director of the Minerals Management Service (MMS), which oversees the leasing, exploration and resource development on the Nation’s outer continental shelf, including the transportation of hazardous materials by pipeline. She was promoted to MMS Director in 1995, a position she retained until February 1999, when she left public service to return to Steptoe in September. She became a partner in Steptoe’s energy and natural resources practice, where she represented producers and pipeline companies in matters before the Department of the Interior, the Federal Energy Regulatory Commission and the Department of Transportation. One of the companies she represented was Enbridge Energy Partners, an association that would prove awkward after she joined the Obama administration. In July 2010, Enbridge was responsible for a large oil spill in Michigan. When the House of Representatives held hearings about the spill in September, Quarterman, despite being the administration official in charge of pipeline safety, she was forced to recuse herself from testifying because of the conflict of interest. During the Obama Presidential Transition, Quarterman served on the transition team regarding the Department of Energy. Quarterman has been a member of Editorial Advisory Board for Natural Gas magazine since 2000, and a member of Executive Committee of Institute for Energy Law since 2002. Quarterman is married to Pantelis Michalopoulos, who is also a partner at Steptoe & Johnson; they have a daughter. A Democrat, between 1995 and 2009 Quarterman contributed $11,149 to Democratic candidates and causes, including $971 to the Democratic National Committee, $750 to President Bill Clinton’s 1996 reelection campaign, $1,000 to Vice President Al Gore’s 2000 Presidential campaign, $2,000 to Senator John Kerry’s 2004 Presidential campaign, and $4,278 to President Barack Obama’s 2008 Presidential campaign.